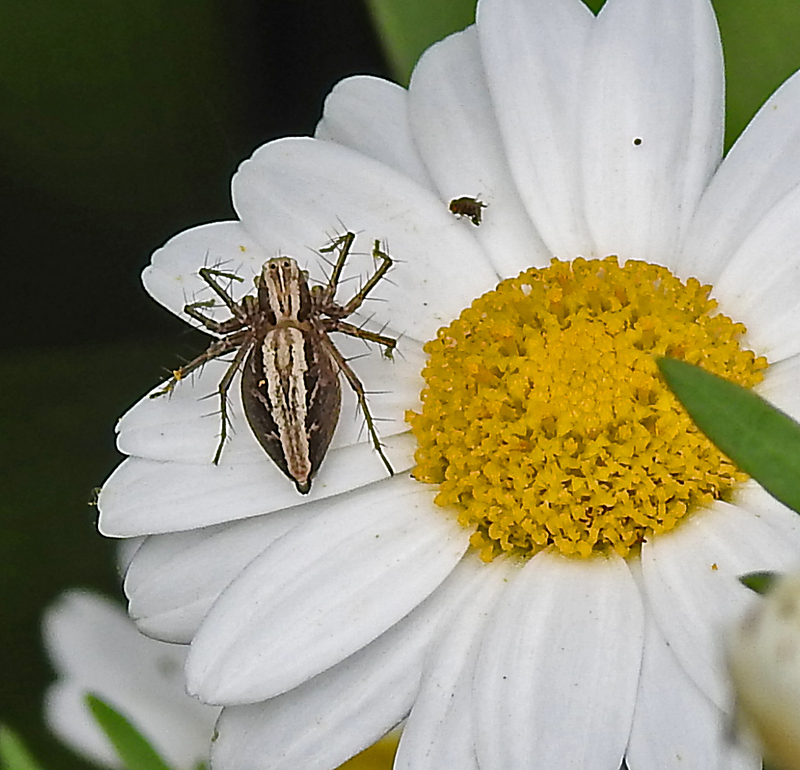 There is a tiny spider on the daisy petal. It waits patiently for prey to approach. In an instant the little arachnid pounces and ensnares an unfortunate fly that has wandered too close. The spider drags its victim onto a nearby leaf, binds it in silk and proceeds to enjoy its lunch. I am wandering around the streets of North Adelaide exploring the local gardens and their early spring blooms. However, my real focus is the multitude of little invertebrates such as beetles, spiders, caterpillars that revel in the warmer weather and emerging flowers. To that end I have set my camera on macro and ramped up my observation skills to detect these well camouflaged and often minuscule creatures. A little further down the road a feline loving resident has planted some cat mint. 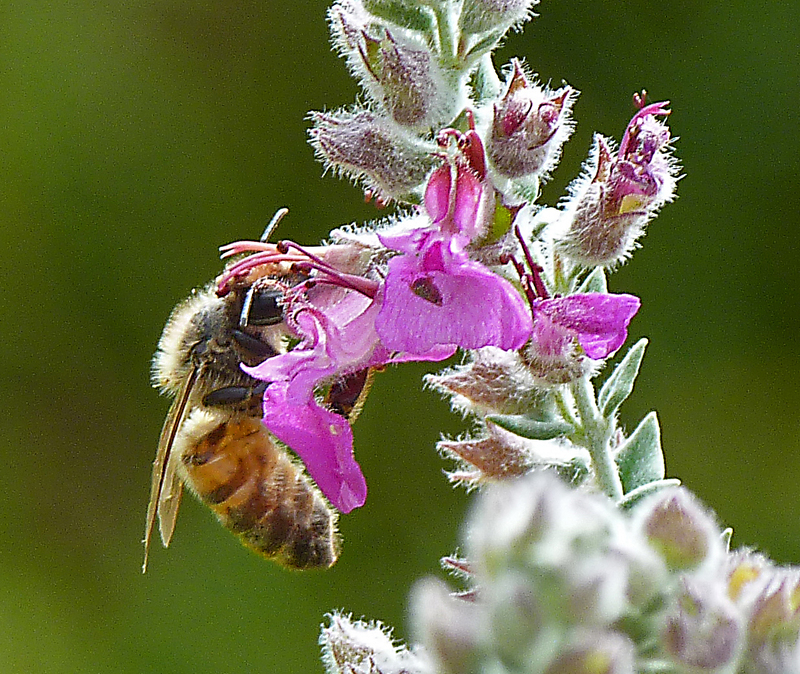 Today it is not the local ‘mogs’ that are enjoying the plant but honey bees. Half a dozen are hovering around the purple flowers periodically settling to extract the nectar and unwittingly collect pollen to distribute. In one particular cottage garden the front fence is dominated by a huge yellow euryops bush, a kind of yellow daisy. It seems to be a favourite food for a myriad of mini beasts. 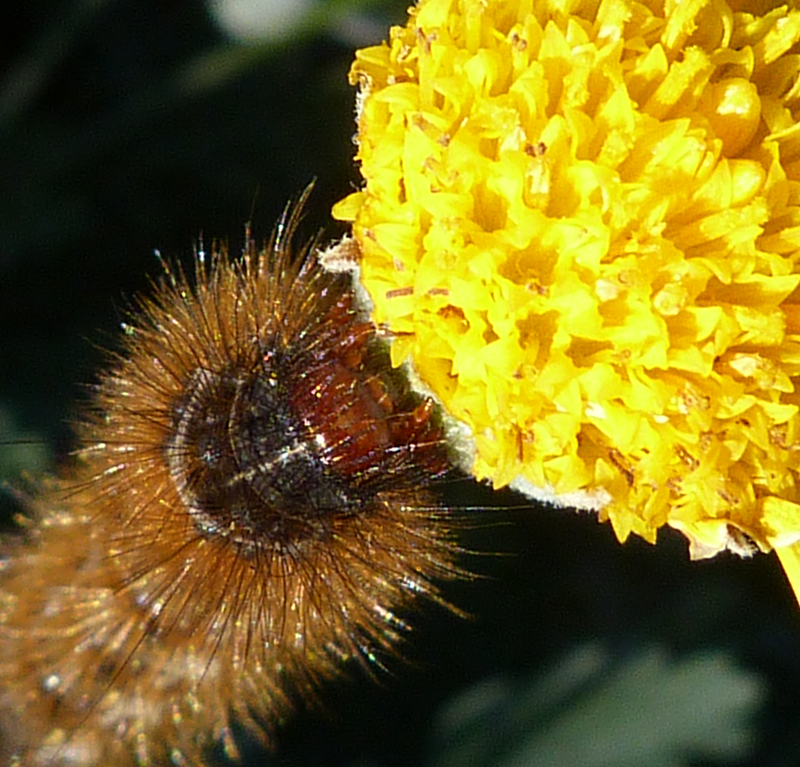 A woolly bear caterpillar has munched its way through both leaves and flowers as it prepares to enter the next phase of its life as a chrysalis before eventually morphing into a tiger moth. Before heading into O’Connell Street and a well earned cup of coffee at one of a dozen restaurants I want to find one last iconic insect species. My chance comes when I notice a tiny spec of red and black on a deep purple native hibiscus flower. 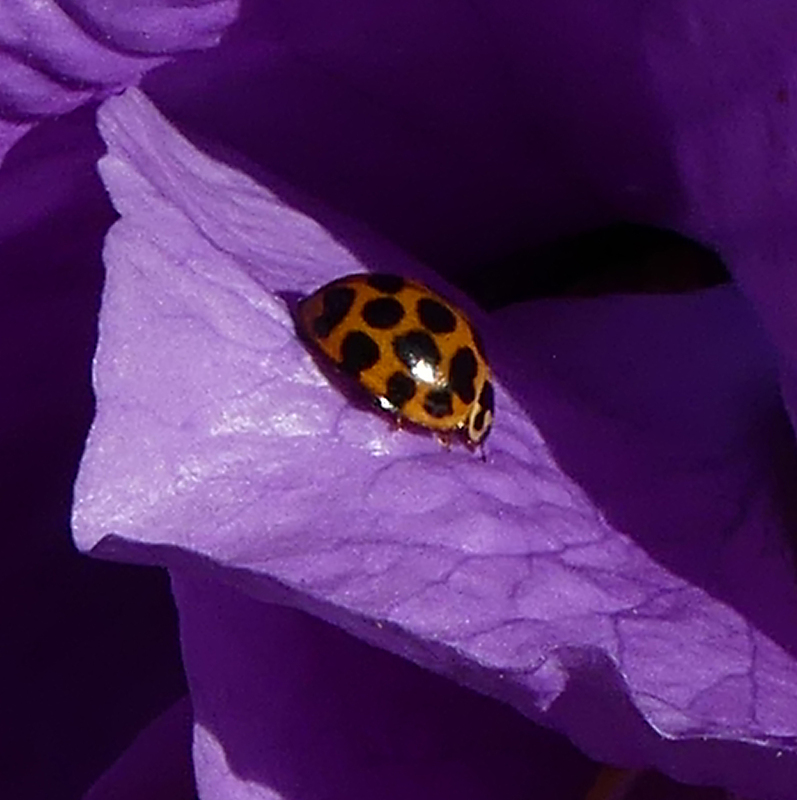 It is a ladybug, a familiar insect to both adults and children alike. Despite its benign appearance ladybugs are fierce predators demolishing a plethora of insects that are considered to be garden pests. When will Spring really arrive in SA??? Wonderful photographs as always. Love your captions as well.